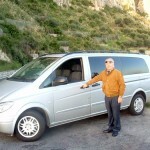 after having a extensive experience as a bus driver, I have worked for over 20 years for the most known international agencies and traveling around Italy and Europe. 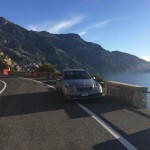 I decided to have my own little and professional company “Smile Travel Car Sorrento” and organize Sorrento private tours and Sorrento Shore Excursions. 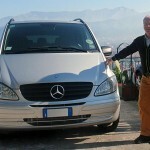 Having a very good knowledge of the Italian territory and culture I can also offer you tours in the most important Italian cities (Rome, Florence, Siena, Pisa, Lucca, Verona, Assisi, Taormina, Palermo), lead you to discover the most exclusive and characteristic local food and wine itineriaries and show you the multitude of small villages making up that exclusive part of Italy where old traditions are still alive and time seems to have stopped. In these places it’s also possible to discover your own roots. I can satisfy any of your demands: just contact me and I’ll be happy to take care of you on these special trips. With care, kindness, professionalism, a good deal of humour and the love I have for my land, I’ll make your holiday unforgettable. The art, history and beauty of our landscapes will do the rest giving you deep emotions that you will remember. 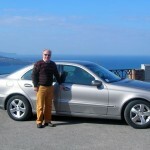 Sorrento Private Driver? 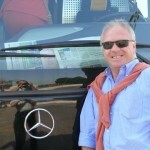 Choose Mimmo Smile!